During my 2007–2008 campaign, I played for an NBA record five teams: the Denver Nuggets, Memphis Grizzlies, Houston Rockets, Miami Heat and San Antonio Spurs, gaining an exclusive look at professional basketball behind the scenes. 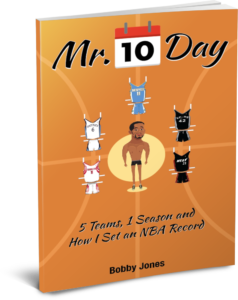 I’m seeking your representation for my memoir, Mr. 10 Day: 5 Teams, 1 Season and How I Set an NBA Record. I found your name through the clients you already represent whose books are similar to mine and I’m hoping you can assist me in finding a publisher. Growing up in Compton, tragedy hit me early in life: I lost my brother and childhood best friend to gun violence, all the while living next door to the gunman who many believe killed Tupac Shakur. During the late 90’s and early 2000’s I attended Dominguez High School, playing in one of the most dominant and scrutinized high school basketball programs in California. I played collegiately at the University of Washington, where we pulled off one of the greatest single season turnarounds to reach the 2004 NCAA tournament. From AAU, high school and my college days I’ve been lucky to share the court with Olympians, NBA Champions, All-Stars and Slam Dunk Champions. I share the stories behind the players, victories and basketball politics, including the corruption amongst coaches, players, families, posse, agents, cities and universities. Graduating from college, getting drafted by Philadelphia 76ers and becoming a father in the span of four months changed my life forever. Soon I was Allen Iverson’s “rookie,” tagging along with the controversial Hall of Famer as I learned first-hand the lavish lifestyle of the NBA culture. My greatest game came the following season on the last day of my first 10-day contract while matched up against a rookie Kevin Durant. My stat line of 20 points, 13 rebounds and 7 assists caught the attention of every general manager in the NBA; from that point on, a new team would sign me for the remainder of the season, thus setting the record. Despite the many highs of joining these various franchises, depression quickly came into play as I kept getting released. Not knowing the fate of my career, I felt I was fighting a losing battle, but constant support from my mother helped me stay on track to pursue my childhood dream. 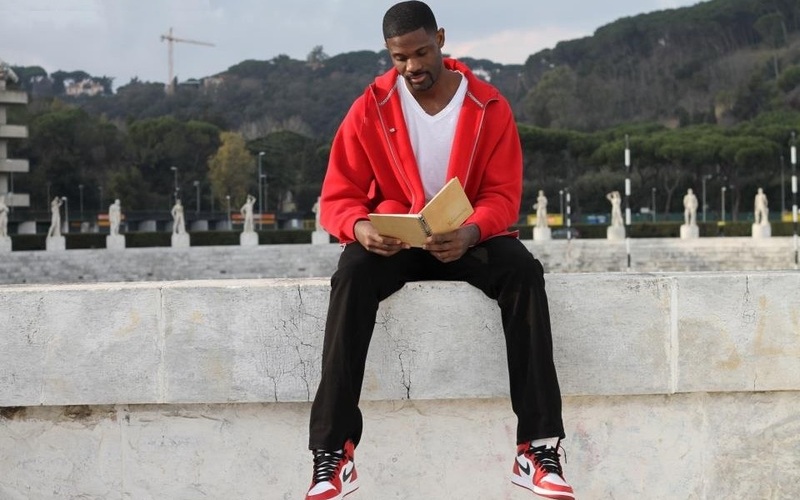 I put league controversies and team dynamics into perspective for readers to relive the life of a young NBA player on the fringe. With its comedic touch and life lessons, this book is the basketball equivalent of the film “Forrest Gump”. I’m currently looking for literary agent to help shop the book to publishers.